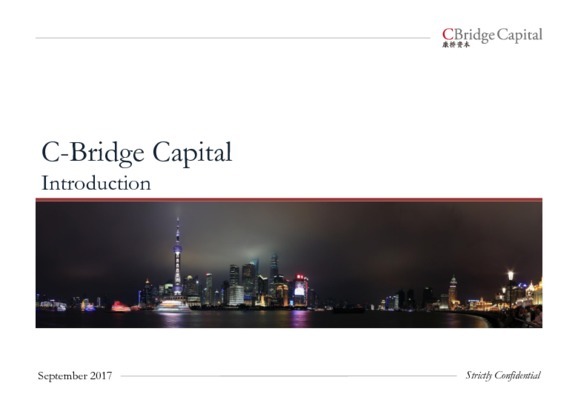 C-Bridge Capital is a healthcare dedicated private equity firm, focused on growth and late stage investment opportunities with US$800 million of Assets Under Management. 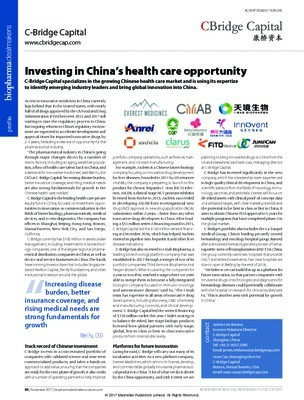 C-Bridge Capital’s current portfolio includes China’s leading players in pharmaceuticals, medical devices, diagnostics and healthcare services. 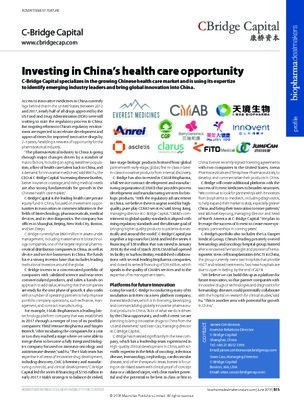 C-Bridge Capital is committed to support commercialization of cutting edge technologies and companies that fulfil unmet medical needs, thus continuously improving the standard and quality of care for patients.